This product is expected to ship on Thursday, April 25 if you place your order within the next 20 hours and 9 minutes. Display a photo or other important document in this attractive pressed or solid wood certificate frame plaque. 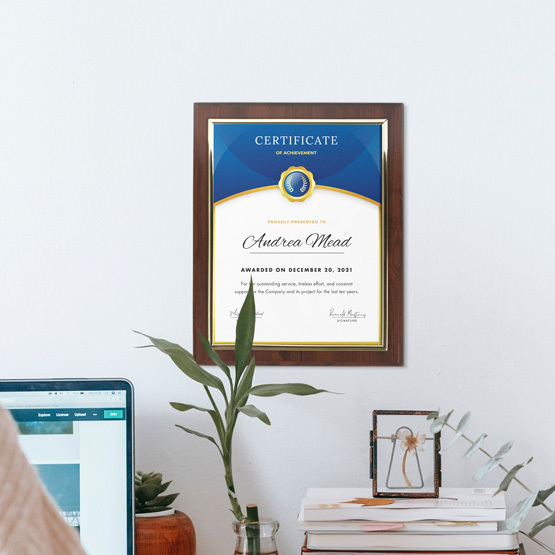 The slide-in design makes adding your certificate easy, while the wood board with silver or gold frame provides a professional appearance. 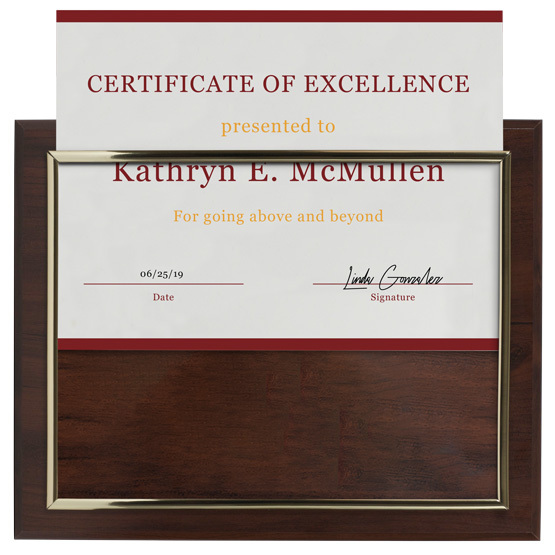 Each certificate frame plaque includes a key hole slot for convenient wall hanging and is available in multiple sizes.